Film reels: Needs clarification of possibility of digitizing. Festive feast in a yurt. Excerpts from the concert and folk festivities. 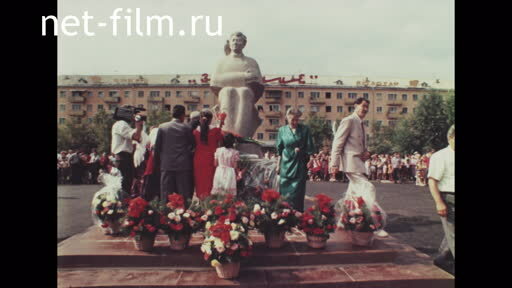 Laying flowers at the monument in Petropavlovsk, as well as in the writer's native village. Solemn opening of a new monument in Petropavlovsk.